This elderly Giraffe lady had a good look at this “noisy animal” before she decided to move off into the bush following the rest of her Journey (Journey is the proper term for a group of Giraffe). 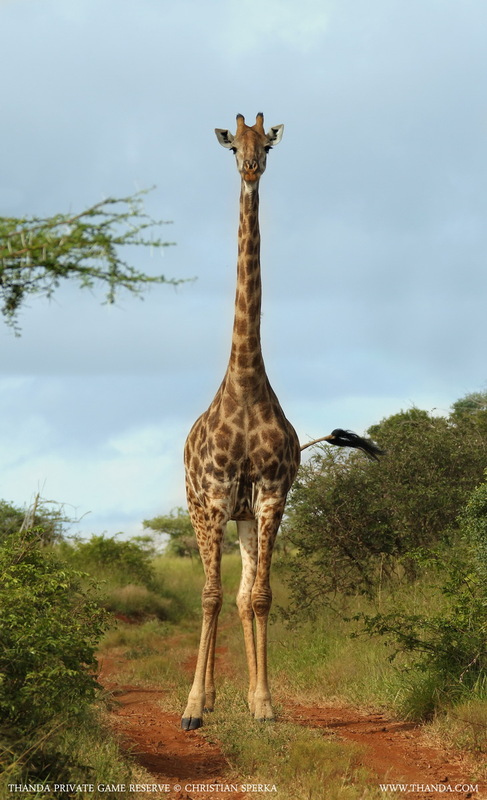 Giraffes are one of the Thanda game drive favorites, especially for younger children, who seem to have a special place in their heart for these long-necked, gentle creatures. How could kids, and this adult, not love giraffes, with their crazy bodies and big eyes???????? ?